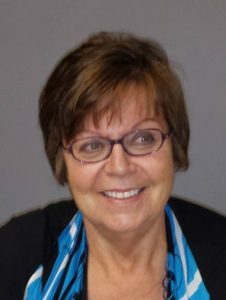 It is with heavy hearts that the family announces the passing of Veronica Nicholson, beloved wife, devoted mother and cherished grandmother on April 13, 2019, after a 3-year courageous battle with cancer, at the age of 64. Dearly loved wife of Charles Nicholson, much loved mother of Charles (Josie), Robin (André) and Michael (Lee-Anne). Loving and proud Gramma of Daniel (Grace), Gabrielle, Jenna, Alexandra, Brooke and Hailey. Dearest sister of Irene Armstrong (Fred) and Bill Gay. Sister in law to Rick Nicholson, Cathy Pinnell (Mirt) and Janet Nicholson. She is predeceased by her parents Harold and Cecile Armstrong and her brother David. Veronica will be fondly remembered by many nieces, nephews, cousins and friends. A proud Anishinaabekwe and member of Michipicoten First Nation, Veronica was born and raised in Hawk Junction. Very fitting, her Ojibwe spirit name meant “woman who helps” and that set the path for her life’s work. She was deeply committed and dedicated to community development and social change and advocated for the needs of urban Indigenous people. Being very involved in her community during the 14 years as Executive Director of the Timmins Native Friendship Centre, she was unwavering in her commitment to ensuring there was an Indigenous voice represented at the table. For Veronica, there was nothing more important than family. Being amongst her family and friends brought her the greatest joy. With the love of her life, Charles, they built a wonderful life together, raising their children and travelling. She was a devoted friend who was always there to listen. Veronica loved to knit and if you ever mentioned how much you loved the slippers she handmade, it wasn’t long after you found yourself with a pair of your own. She treasured every moment with her grandchildren. She loved to give and it made her happy to bring a smile to your face. The family would like to express their heartfelt gratitude to Dr. Lesley Griffiths whose care and compassion has been an amazing source of support for Veronica, Charlie and family through every step of this journey. Thank you to Dr. Herst and the Oncology team at Health Sciences North and Dr. Nancy Woods and the wonderful Oncology nurses at Timmins and District Hospital. And a special thank you to the nurses from TDH Hospice unit who provided compassionate care during Veronica’s final days. As per her wishes, cremation has taken place. She will be brought home one last time with her family at her side. A traditional ceremony will be held at Pine Grove Cemetery in Hawk Junction on Saturday, June 15, 2019, at 12 noon. A gathering and feast will follow at the Hawk Junction Community Hall. Remembrance donations to the Canadian Cancer Society would be greatly appreciated. The funeral arrangements have been entrusted with the Miron-Wilson Funeral Home, Timmins.